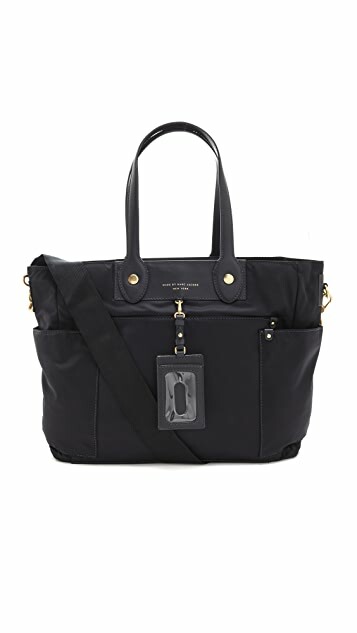 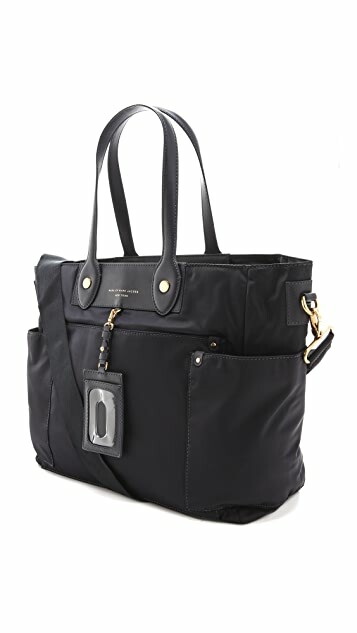 With an included changing pad, 4 handy exterior pockets, and an easy-to-clean nylon exterior, this Marc by Marc Jacobs baby bag is a chic parent's dream. 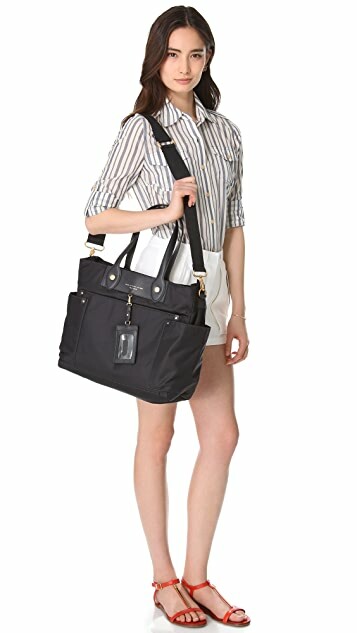 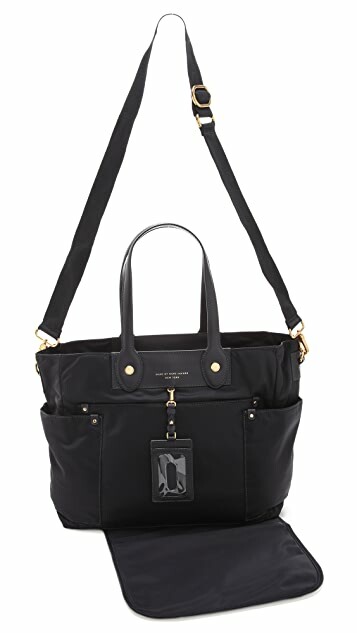 Detachable shoulder strap and sturdy double handles. 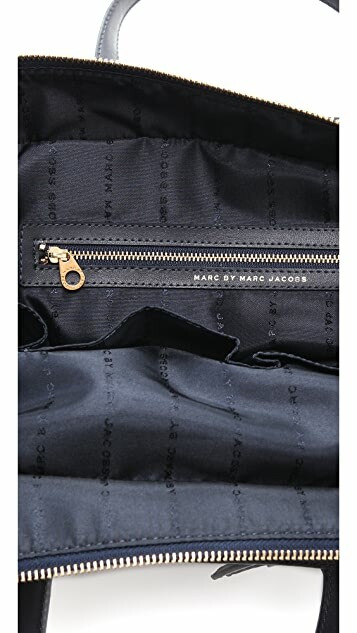 Zip closure opens to a logo-lined interior with a zip pocket and 4 patch pockets.